Bravely Second, a sequel to Square Enix's role-playing game Bravely Default, is headed to Japan for Nintendo 3DS, according to a report in a recent issue of the Japanese magazine Jump. 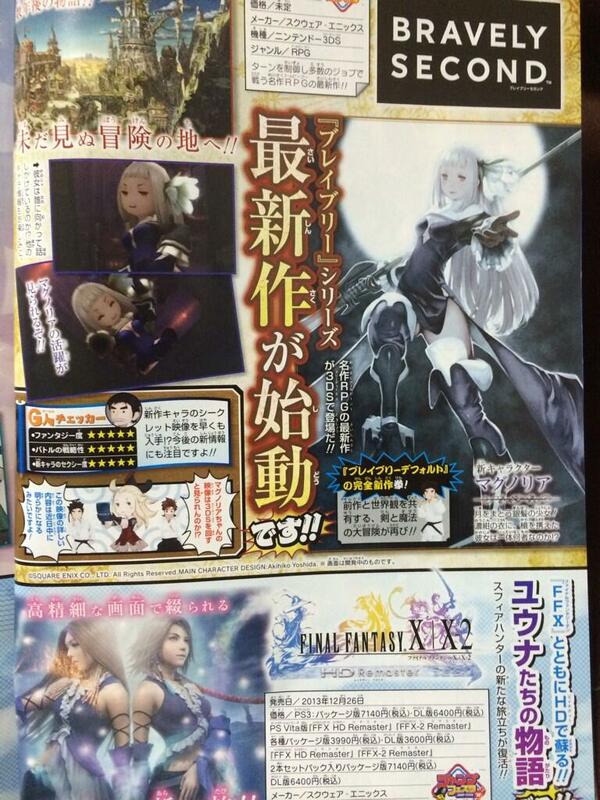 As Siliconera reports, no release date has been announced, and Bravely Second will include a character called Magnolia. You can check out a pic of the announcement in Jump below. We've reached out to Square Enix to confirm the listing and see if there are plans to release Bravely Second outside of Japan. Bravely Default was released late last year in Japan and will arrive in North America Feb. 7, 2014 and this week in Europe exclusively on Nintendo 3DS.